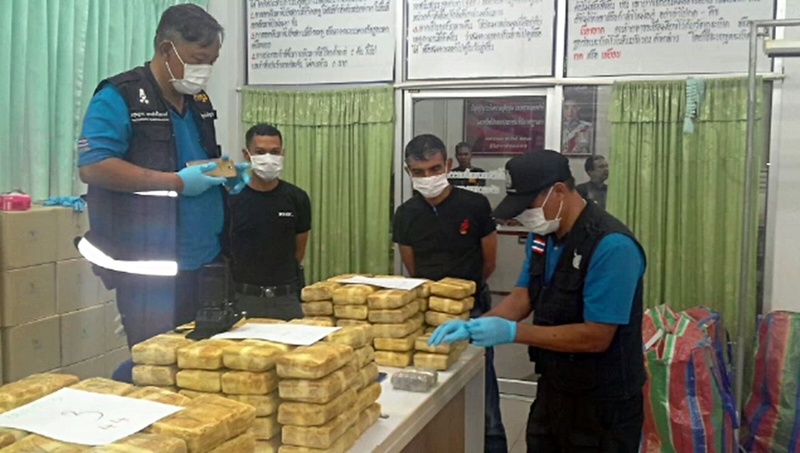 Police seized almost one million methamphetamine tablets worth about 48 million baht from a pick-up truck in Songkhla’s Saba Yoi district last night (April 10). 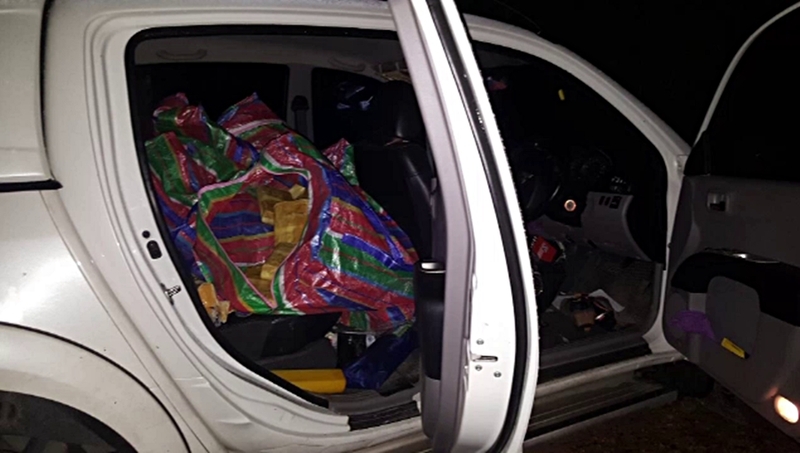 Acting on a tipoff, a team of policemen from Saba Yoi district was dispatched to Ban Siro, Tambon Jataen to lay in wait to look for a pickup truck suspected to deliver illicit drugs to the Deep South. 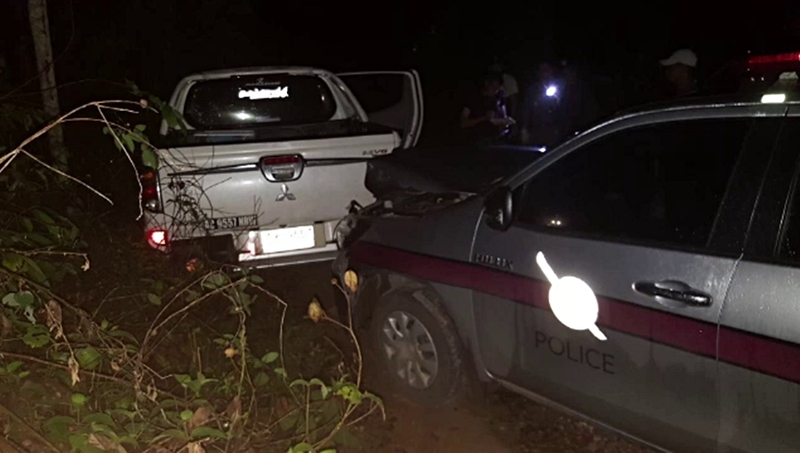 After waiting there for a while, the suspected pickup up with Narathiwat license plate number Kor Khor 9557 emerged from a rubber plantation, the police then gave chase and switched on the siren to signal the truck to pull to a stop. But the driver escalated the speed and kept on driving until, finally, both the driver and his assistant abandoned the vehicle and fled into the bushes. Police found in the vehicle 954,000 methamphetamine pills wrapped up in 160 bundles.